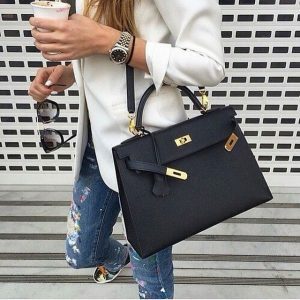 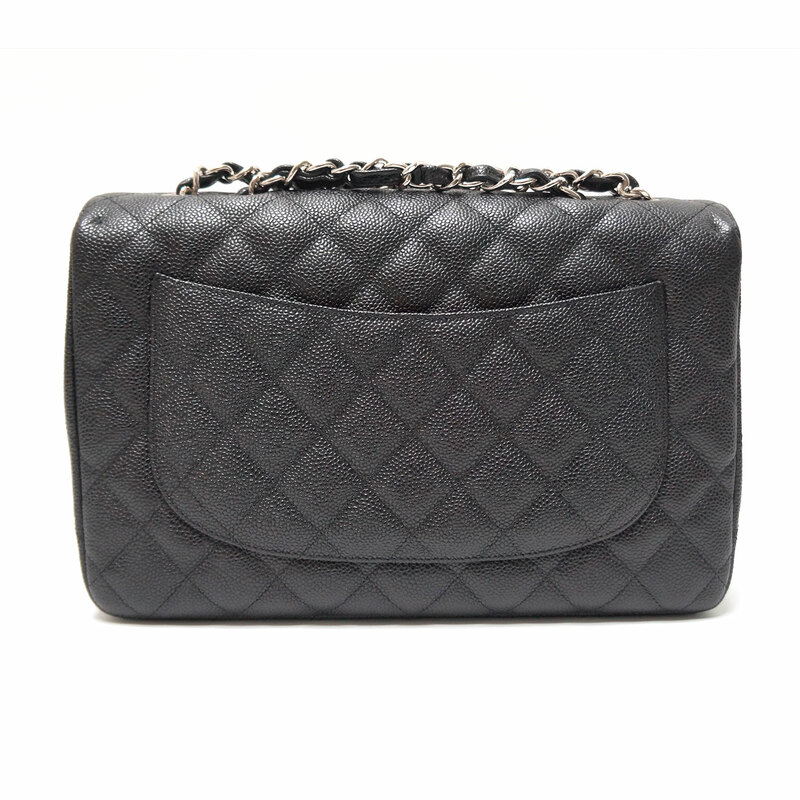 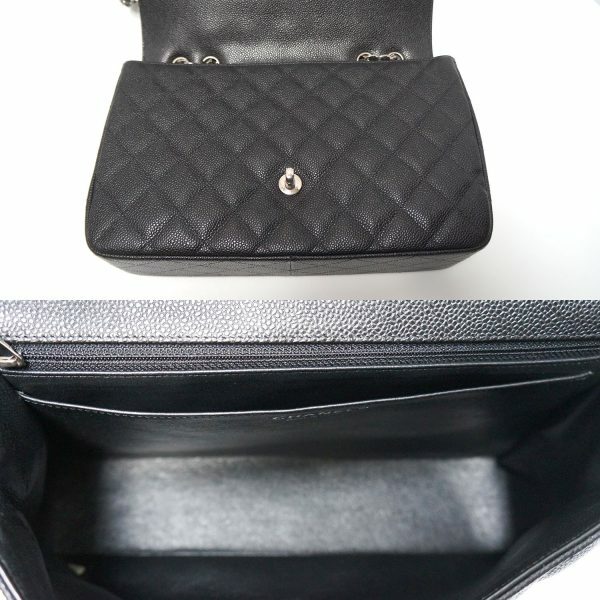 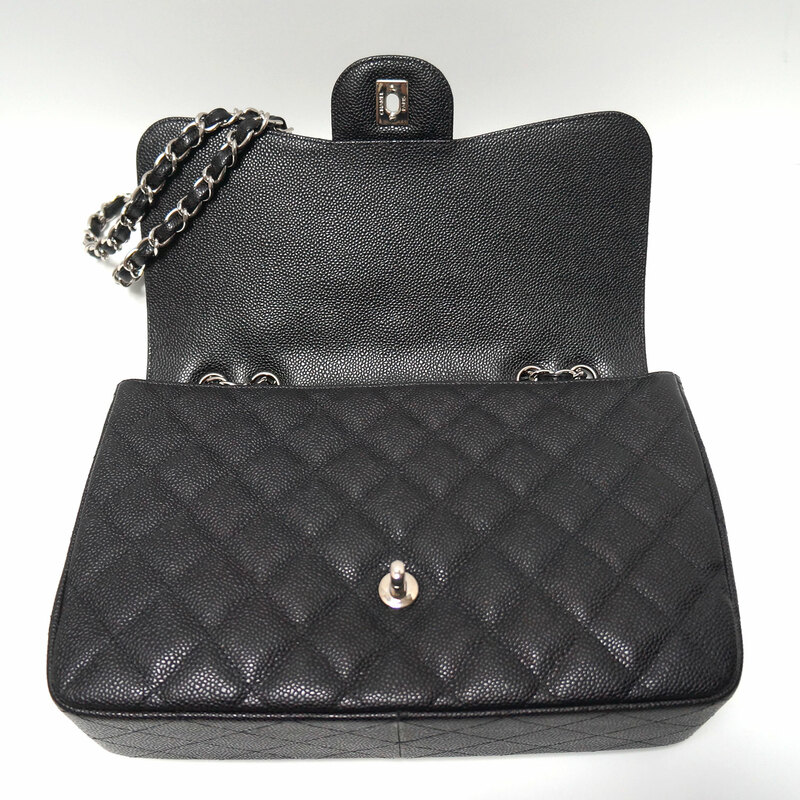 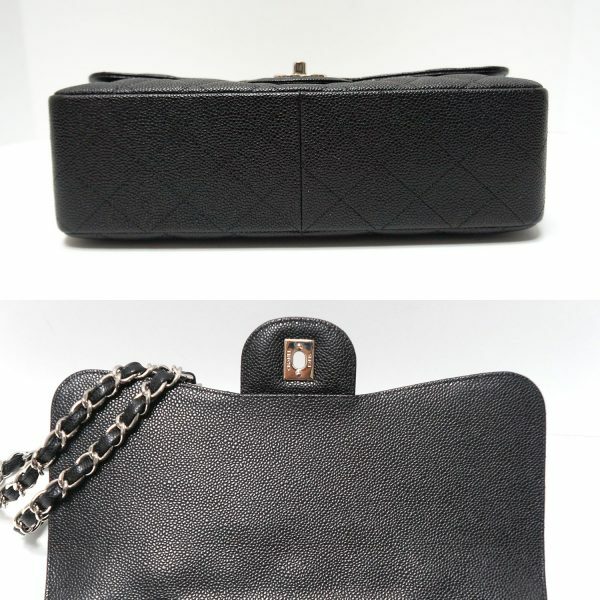 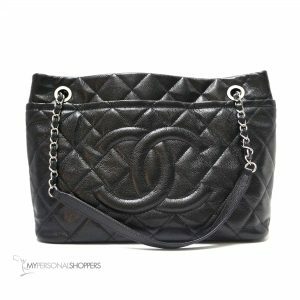 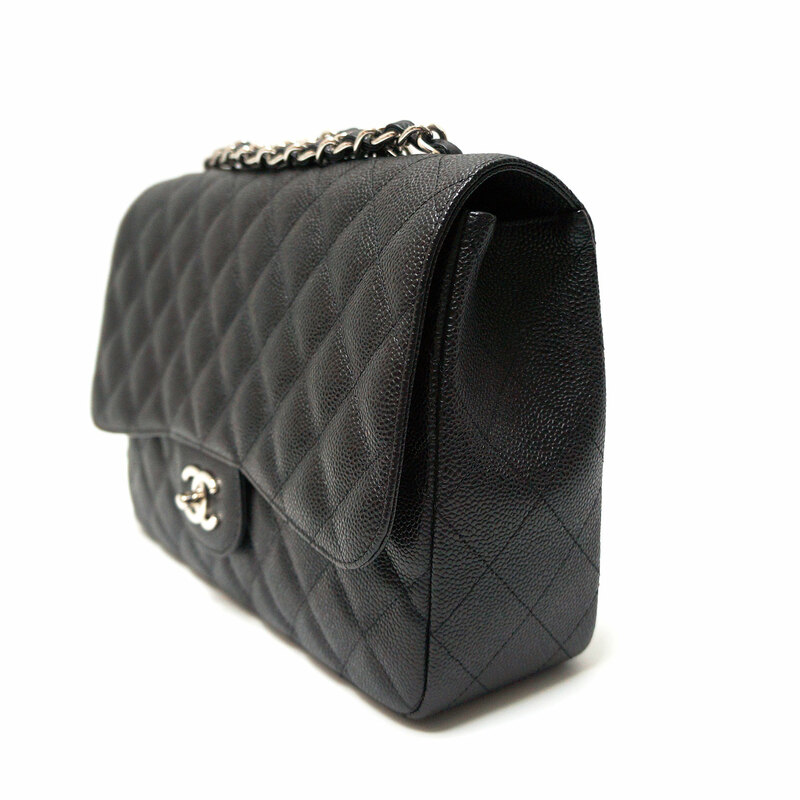 Classic CHANEL caviar leather JUMBO flap in timeless black and SILVER hardware. Lighter-weight single flap classic that’s roomier! 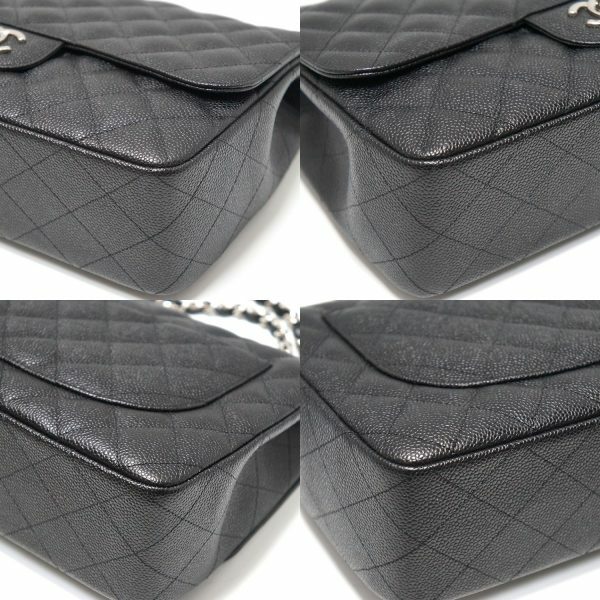 The epitome of luxury and an absolute must have addition to in any wardrobe! 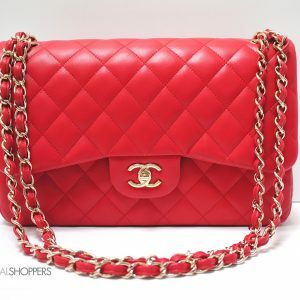 A real investment, as these only go up year after year. 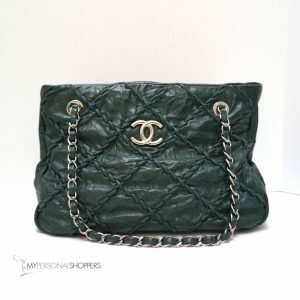 Fabulous find in MINT condition, just sat in closet, never carried, new. 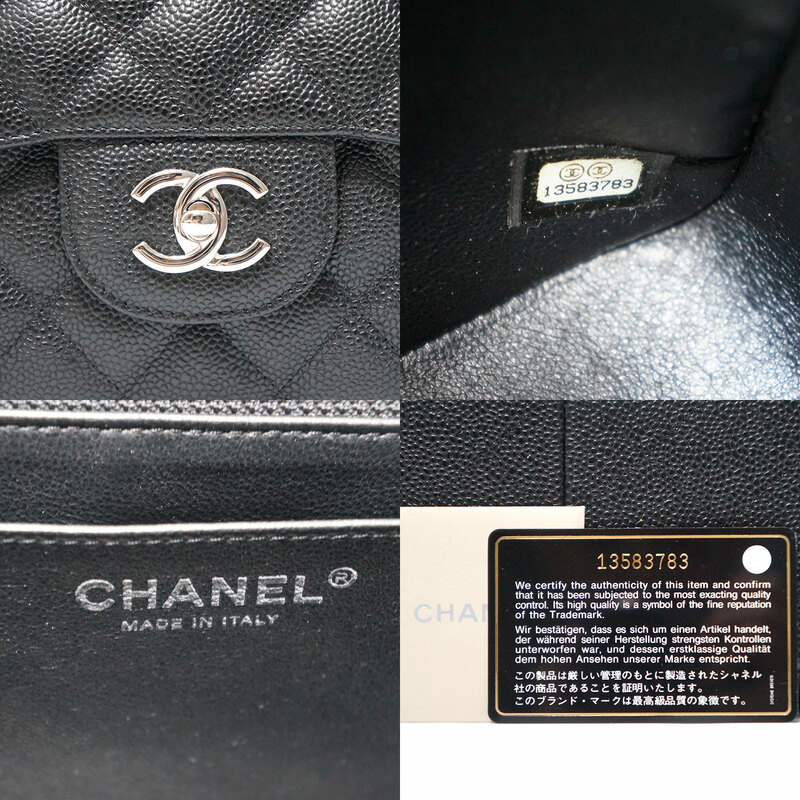 Comes with CHANEL box, dust bag, hologram/authenticity card, and care booklet. 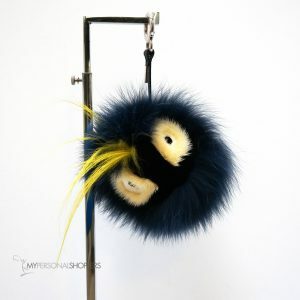 Why pay $5900 +tax?! Only you will know!